Jungle Red Writers: Back to School! RHYS BOWEN: My grandchildren have already gone back to school! Isn’t that awful. In the middle of August. What happened to after Labor Day? What happened to those last two sweet weeks of summer? How can they stand to traipse around Office Depot stocking up on pens and paper when the outdoors is calling and there are shouts and splashing sounds from the neighborhood pool? I’m thinking back to when my own kids went back to school: how excited they were! 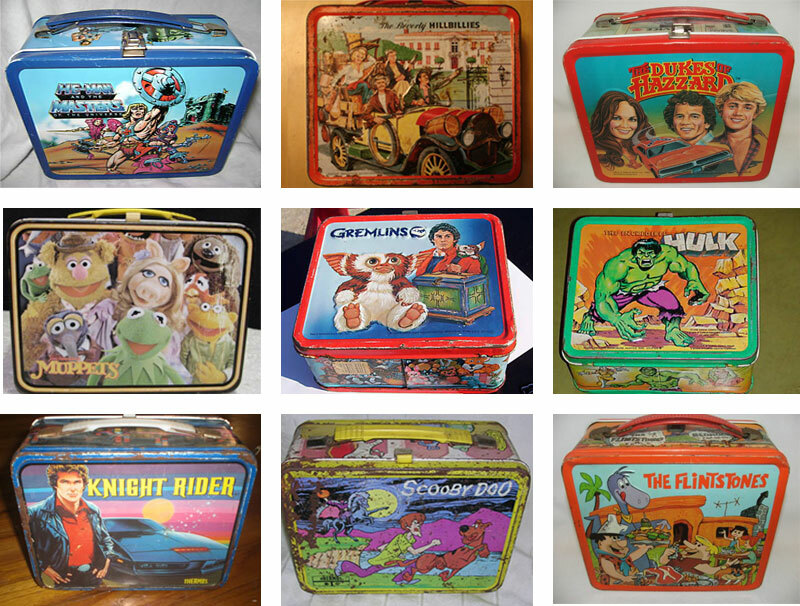 They had to have the right clothes, the right lunch boxes, the right backpack. My daughter Jane told me that everyone in her class had Calvin Klein jeans but her. I went and sat outside the school and made a chart of every backside that went past me. I was able to report that only 28 percent of her class had Calvin Klein jeans. Case disproved. She glared. Parents should always be smarter than kids! But the lunch boxes… they were really important in elementary school. Wonder Woman or The Monkees or whatever Disney movie was popular that year. And the little plastic thermos flask that never kept anything hot. I missed out on all that choosing of equipment. In England we ate meals in the school dining hall. We were provided with note books for each subject. And our uniform was so strict. Light blue shirt and gym slip (a sort of ghastly jumper) in the lower grades. Shirt with collar, dark blue tie and skirt in the upper. And blue blazer. And blue overcoat and hat. And brown lace up shoes and fawn knee socks in winter. Hair reaching the collar had to be tied back with navy ribbon. Was I in trouble when I wore WHITE knee socks because they were currently in fashion! You’d have thought I’d have committed a major crime. “I’m so ashamed of you—one of my prefects,” the headmistress said. And on the first day of school heart thumping to find out which was our home room and who was our homeroom teacher. And getting there early to snag one of the desks by the radiators. It got really cold at my school in winter with an open courtyard and cloisters down one side. The interesting thing is that both sets of grandchildren wear uniform and actually like it. Both go to rather elite private schools with lots of rich kids and the uniform takes away all the pressure. Well, almost all. My granddaughter Meghan informed me that one girl in her class carried a purse that cost over $200. “How silly,” I said. So what sort of back-to-school memories do you have? Did you look forward to it? What preparations did you make? My Colorado grandchildren are already back in school, too, Rhys, but the Virginia contingent won’t start the new school year until after Labor Day. I don’t ever remember going back to school, either when I was a student or when I was teaching, before Labor Day. Until seventh grade, I really looked forward to going to school. The best thing about going back to school was getting new pencils and notebooks and getting to see what new books were on the shelves in the school library . . . . Uniforms are required for the charter school our Colorado grandchildren attend, but when we were growing up, we did not have to wear uniforms. However, I do remember that when we reached middle school all the girls had to kneel and if the hem of their dress didn’t touch the floor they had to go home and change. Now I don’t guess dress codes are nearly as strict. More than two hundred dollars for a purse?? Sheesh . . . .
Middle school is the pits, isn't it Joan? We had the same rule about skirts. and for boys, the principal had to be able to put his fist up the pant leg to the knee. Which sounds very very strange, looking back! We had that rule in our high school, where we wore wool, knife-pleated uniform skirts. It was the late 60's, and none of us wanted to look like grandmas, so we all rolled our skirts at the waist. Which had the effect on us skinnies of making us look a bit like Olive Oyl, with a big roll at the waist. We thought we were looking cooler, but we ended up looking silly. Other than going shopping for new clothes and school supplies (which qualifies as the preparations I, or rather my family would make), I really don't have much in the way of memories of going back to school each year. I didn't look forward to it. I attended catholic schools for 2nd - 4th grades and had to wear the uniform. Other than that I never wore a school uniform and would've fought against it if public schools had tried to introduce it when I was still in school. Rhys, I love love love the story of you sitting outside with a clipboard counting name brand jeans! You had such a different school experience--it's all done you very well! Rhys, I love the jean-counting story!!! Wish I'd been that smart! I don't think name-brand jeans had been invented when I was in school. But I do remember how competitive dressing was. The thing I loved were the school supplies. The 3-ring binder, the colored dividers, the little pencil sharpener, the box of reinforcements (really?? ), picking out a pen and a little plastic zipper pouch to store it in, narrow or wide lined paper... I loved all of it. I'm with you, Hallie. I still get giddy when I buy new Sharpie markers or a fresh notebook. I enjoyed getting those supplies, too! Even now, I like to buy new notebooks at this time of year. I think it's all about having the opportunity to start something fresh and new. I loved getting new supplies and have fond memories of buying "Trapper Keepers" in a variety of colors. I still love buying office supplies! My daughter attended a public middle school filled with affluent kids. A mother approached me in the school office, where I waited for my daughter, holding her thrift shop handbag decorated with cherries. Where had I found the divine Kate Spade bag? I laughed and asked if it was real. Indeed it was. I loved the Calvin Klein survey! The schools in the Cincinnati area go back, mostly, next week, but the kids in the rural Kentucky area around our farm have been in classes since the first week of August. They already had a break this week (for the tobacco harvest, I think), which our renters took advantage of to take their kids on their first-ever family vacation, to Mammoth Cave to see the eclipse. My grandson lives in Michigan, though, and the entire state is off school until after Labor Day, tourism is that important to them. We gathered our supplies from what we had at home, filling in a little from the store, but our kids "had" to have what was on The List that parents got at the beginning of each year. A dozen red pens in high school, a fresh box of crayons and markers every year in grade school. When the girls moved out and I gathered school supplies from their desks, bookcases, drawers, and a million other places in the house I found literally hundreds of new or almost new pens, pencils, erasers, markers and crayons. I could have started my own school. When we went to Tanzania they told us to bring certain things to give to locals, including pencils. I had three dozen in with me, all from unused school supplies. Since my birthday is the first week of October, my presents were almost always new school clothes. It was a bit of a raw deal. And Hallie, I didn't own jeans (people called them dungarees until the late 60's) until about 1966, when my mother bought me a pair in a stone color. The cost of school supplies is ridiculous. I'm not really sure when it became a thing but when the hooligans were in elementary school, we would get a list of needed supplies that filled two pages. We parents showed up in the classroom with grocery bags full of Kleenex, Antiseptic wipes, copy paper, white board markers - seriously - back to school shopping when they were in grade school cost me $75/kid just for supplies. It could be because AZ is so darn cheap with education. Now in high school, it's a notebook, pens, and pencils. Same in Pennsylvania. I'd spend almost $200 on school supplies, including the Kleenex and hand sanitizer and whatnot for the classroom. High school is so much easier. Pens, notebooks, done. Jenn, it's the same here in Ohio. Insane lists of supplies. First day of school has always meant a red plaid dress and I'm not sure why. I'm sure I did have a red plaid dress in kindergarten or in first grade but whether I wore it on the first day I don't know. The only outfit I do remember from kindergarten was a green sort of suede-like 2 piece cowgirl outfit. But it wasn't first day. Your red plaid dress reminds me that we often had plaid dresses or skirts, too. And saddle shoes! My mom loved saddle shoes, and I think my sister and I had new saddles shoes for at least the first few years of elementary school. I envied my friends' suede shoes, but my mom thought they were tacky. LOL. I always loved the excitement of back-to-school. I feel a little sad every fall when the summer ends, and there's not the anticipation of new beginnings we had with school. I'm with you, Hallie, on school supplies. We had a stationery shop downtown, and I loved just walking around it, looking at all the new notebooks and pens. I remember when Flairs first came out, and we all had so much fun with them -- had to buy all the different colors and doodle with them. And I still remember a blue-flowered 3-ring binder I had to start 7th grade. Very flower power, but I thought that notebook was the coolest thing ever! We always took pictures going down the front steps with our back-to-school outfits and pencil cases. Our friends would come by to walk to school with us, and my mom would take their pictures, too. It's nice to have those pictures now! I agree, Rhys, that it seems to early to go back to school now. It should be after Labor Day (and still is in our town, but it's earlier in some of the surrounding towns). I didn't love going back to school. At all. The only good thing is I didn't have to try and fill my days during the summer. I went to public school and I never had the right clothes, or the right accessories or the right anything. It got really bad in middle school Yes, Lucy, middle school is the worst. My kids have always gone to private school. Polos and khaki pants/shorts/skirt (for The Girl). No kneeling, though. They mostly like it as it takes a lot of pressure off on getting dressed in the morning and back to school shopping. Still in Catholic school for high school, The Girl has a uniform skirt, polo, and sweater (the sweater must be worn, fortunately there is A/C for those hot early fall/early summer days). She's liked it for the same reasons you mention Rhys - and yes, there are some girls there with incredibly high-priced purses and bags. The Boy must wear a shirt and tie, but any shirt and tie (not specific colors). He likes finding designer shirts on the clearance rack at Macy's. The latest is pink with sharks on it. He wants a bow tie, but we're making him wait on that one. Solid color pants, loafers. Any sock goes. The boys have fun with the shirts, ties, and socks. And they like shopping for pens. Each must have specific pens. I don't dare buy without the child present to choose! My sisters and I went to Catholic schools and wore uniforms. Mine included a clip-on tie. I was usually pretty bored by the time school rolled around, and it was something I was good at, so I was generally glad to go back. One of the nuns used to play kickball with us, sp I had decided they were people. We sent our kids to public schools, and since they were both boys and it was the 90s, all they needed were scruffy jeans and death-metal t-shirts. By the time the younger one finished high school in 2003, the cycle had returned to somewhat preppy, which I found amusing. We moved to Wilmington, where my wife taught at UNCW, which was kind of like going back in time a while. Older son, very bright and cynical, went off to college early rather than coming with us. As we endured the very rah-rah welcome-back rally at younger son's new high school, we looked at each other and said, "Thank God David isn't here for this!" Doesn't the first day of school feel like New Year? I teach college and am always sad to see the end of summer freedom but once I get there I'm glad to see my colleagues and meet my new students. I'm even happier when the frost comes to kill the Ragweed and make it cool enough to wear sweaters. Then it really feels like school time. Rhys, I *love* that you actually counted how many kids were wearing Calvin Klein jeans (but I'm still laughing about Perambulator Gott)! But the whole what to wear thing was fraught. You had to wait to see with the cool kids were wearing before you made your clothing decisions… For instance, were your white tennis shoes supposed to be perfectly white, and made whiter with liquid shoe polish? Or all scuffy and dirty? Make the wrong choice, and you were doomed. Coins in your penny loafers? Or empty? Big big choices. We could not wear pants to school, and would not have even thought of it. When skirts started getting shorter, the powers that be made us kneel on the floor and if the hem of the skirt did not touch the floor, we were sent home. I was constantly in trouble for that. The only time it even occurred to girls to wear pants was when it was extremely cold and we had to wait for the bus. The pants were worn under our dresses, of course, to be removed as soon as we got to school. Not sure just when pants became okay. My daughter was born in 1975 and she loved wearing dresses so I don't remember when such things were allowed. Knowing my daughter, if they had not been allowed she would have moved heaven and earth to get that rule changed! Hank, think of all the stories you hear now about the just this side of fascist enforcement of arbitrary dress codes that schools are doing now. Things haven't changed that much. I was in marching band in CT, so we always started in August. Grueling. My Hooligans are also in marching band and they start band camp in July (gasp). It does shorten the summer. Then again in AZ by the time August rolls around the pool water is actually hot and you're happy to be inside. As for my school days, I remember getting my new jeans every year - big thrill for the tomboy in me - the rest of the clothes I didn't care about. 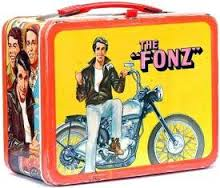 My favorite lunchbox was plaid. Seriously. School supplies - new pens, pencils, and paper - always make me happy. Always. I wore uniforms in high school (we did that roll the skirts at the waistband thing) and by that time I learned to sew. All I really needed was something to wear to the once a month dance. I studied Glamour magazine like it was the Bible and am still drawn to autumn colors and fabrics -- Loden green! Suede. Corduroy! As a kid, I had a Grandmother who loved to shop (Mays on Long Island) so I had a great supply of cotton dresses (puffy sleeves, belts) but later on she moved to Florida. In 7th grade she sent me a dozen maroon knee socks! And my mother made me wear them. My four daughters were never terrible fashion conscious except for one who begged forever, in Middle School, for BENNETON. I finally got her a shirt. One of her favorite photos is one where she is standing with three friends and they all are wearing BENNETON (the others had skirts as well). Thankfully, she switched to thrift sores when she got to high school. Grandkids are still on summer break -- everyone goes back after Labor Day. I sat the little girls down at the computer and let them choose shirts from Lands End). When I was in grade school, I would drool over the Sears catalog. But we never ordered. The schools around us started going back before Labor Day a few years ago. I think it was because we had had several years of bad storms that resulted in time off from school. They now start earlier and no longer have a winter vacation, and are able to finish for the year around the second week of June, even with some snow days off during the winter. In the all-girl high school I graduated from (fifty years ago! Yikes!) we were allowed to wear non-uniform clothing on Wednesdays. I often chose to wear my uniform, anyway, because of not having much of a wardrobe. And, yes, there was that kneel-on-the-floor rule to check skirt length. All this talk of school makes me want to sign up for an adult ed class in anything at all! I had just moved to Columbus in the final months of fifth grade, so I spent that summer still getting to know girls in my neighborhood. They were introducing the middle school concept for the first time in my district that year, so in the fall we would be moving up to middle school. Our ringleader, Tammy Kitchen, announced with authority a few days before school started that we just HAD to wear nylons to school in middle school -- we were much too old and dignified for knee socks. I dutifully reported this to my mom, who, God love her, came up with a Solomonic response. "I suppose we can treat the first day of school like a special occasion, so you can wear a pair of nylons the first day. But after that, you're wearing knee socks." I was satisfied, as I wouldn't have to face humiliation on day one, and I knew this was the best I could hope for in this round. So the first day of school came, I put on my nylons and rode the bus to school, where I immediately connected with Tammy -- sporting very swollen, red-rimmed post-crying eyes and knee socks. Her mother had flatly refused to let her wear nylons to school. My only child is a son, and somehow it all felt much different with a boy. There was the purchase of supplies each year, of course, and he had strong opinions about some of those. But the only clothing item I really remember is making sure we bought him a new pair of tennis shoes at the start of each school year. Of course, now that I think about it, he went through a minor Goth phase, so for a while I lived under the dictum than shirts could only be black. Thank goodness, he was always willing to wear jeans or other neutral colors of cargo pants. But I don't ever remember his wardrobe purchases being directly linked to the start of the school year, as mine had been. And you think the mafia has the rackets market cornered? Rhys, I remember beautiful photos of your family at the ballet with you. I went to a Catholic school where everyone had to wear unfiorms. IMHO, I think school uniforms is a good idea. My memories of school is mixed. Although I was an excellent student, I was not fond of school, except Catholic School because the teachers never allowed anyone to be bullied. In other schools, the teachers seemed to have no control over the bullying. I sought refuge in books and I read a lot. I did not start to enjoy school until college. Lucky are the school kids whose parents can afford new clothes and a hundred buck or so for supplies. My daughter-in-law teaches in a "city school" in Arlington, TX. Many to most of her students do well to show up, never mind with new things. She shops sales at Target and spends a ton of time in the Dollar Store, picking up all the stuff her kids need but don't have. So when school starts, the rest of the family tries to chip in to offset her expenses. Here in Rochester the needs are much the same but add in winter coats, gloves, sweaters, hats, boots, all that. We have a minimum outside temp when the schools must close, but that is something like -5F and a wind chill factor of - 25F. Warmer than that and kids must walk to school. Period. Lots of people belong to clubs or work groups who knit or sew, trying to keep these children in scarves and mittens and hats, but still there is the need for parkas. Somehow they get through the winter, but I'm not sure how. Don't even start me on school breakfasts and lunches. These may be the only meals some children get all day. I suppose they should all go out and get jobs? My neighbor tells me about one school who have a series of cubbyholes set up in the hall way. donations of winter clothing are sorted and left there for anyone who needs it. I'm thinking the best way to attack this problem is to build a wall. Around Trump Tower. Can you tell I'm irritated today at this land of plenty of ours? Ann, our Episcopal church has had a donation drive to supply backpacks filled with school supplies for the elementary school down the street from us. It just breaks my heart to think of these little kids having to start school without basic school supplies!!!! Thank your church for me Deb. And to get me back to the original subject for today, my one and only granddaughter, Sarah, just started her first day at school today too -- in her PhD program!!!! I feel for those kids and of course some families are in real need. Others are just cases of bad parenting. Too lazy to get up and make breakfast for kids. Rather spend money on flat screen TV than on healthful meals or warm clothes. Hooray for all those teachers who try to make up for neglect at home. Our local schools go back next week, so just before Labor Day, although for a few years school was starting in early August. No idea why. When I was a kid we never went back before Labor Day, and back-to-school shopping with my mom was a big deal. When I was in middle school, there was a shop in the newly opened Northpark mall called The Carriage House. It specialized in very British looking plaid wool skirts, coordinating cardigans, and knee socks. Of course I had to have these outfits, but you couldn't actually wear any of the clothes until November because it was too darned hot! So disappointing! But my favorite thing was school supplies. Still love school supplies, although some of that is now transferred to the "art box." Debs, I've yet to meet a writer who doesn't love school/office supplies! It's in our DNA! When we were kids school didn't have air conditioning. I think that, along with the need to have farm kids home for chores, is one of the biggest reasons we didn't go back to school until September. Now many school districts have year-round school. My cousin's daughter in Phoenix went all year, in very strange clumps of time. It was disconcerting. Our school district sent lists of supplies for each grade to the grocery stores prior to the first day of school, always after Labor Day in the bad old days. 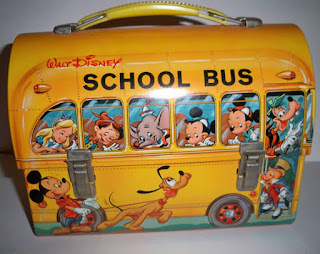 I loved picking out my Big Chief tablet, pencils, crayons, metal tin with water colors (Prang? ), bottle of ink, fountain pen. Once at school the teacher would whisk away said ink, colored paper, manila paper, and some other items to her stockpile. She would issue them as needed. We all carried metal lunch boxes if we didn't buy lunch. Mine was a solid red, my big brother's was blue. Generally elementary school was a happy time except for a couple of years where I had teachers from hell. I'm sure one of them flew in everyday on a broom. I always wondered how many serial killers graduated from her 4th grade classes. Maybe not Prang. My Mom would go cheap! Rhys, you are so funny! Actually going to your daughter's school and doing the research on the jeans. I bet your kids didn't get much past you. And, of course, we readers benefit from that dogged pursuit of facts in your writing. I always loved the start of school when I was growing up, but school was a great experience for me. In elementary school, I remember, and still have some, the first day of school pictures. Of course, that's still a tradition, and now I enjoy my grandchildren's first day pictures. My kids started back around the third week of August or there abouts. It was before Labor Day. Now, though, the grandgirls start back no later than the second week of August. I think it's really too soon, but nobody seems to have asked me. About the only thing I had to "worry" about this year as everyone prepares to go back to school was putting on my "I'm a relatively nice guy" disguise and buy some books for a classroom library that a former player of mine is putting together as she begins her first year as a kindergarten teacher. Nice try with the disguise ruse, Jay. You are a nice guy! When I was growing up we never started school before Labor Day--no air-conditioning and hot Texas summers. The kids in my city started school this past Monday. Also until I was a junior in high school, girls had to wear dresses or skirts and blouses. Junior year girls could wear pant suits 😳. By my senior year, we could wear jeans. I have always loved shopping for school supplies--I always buy some to donate.